Sandra Preusse Johnston, 76, died peacefully on Dec. 3, 2011, in Twin Falls, Idaho. She had been a resident of Aspen, Colo., since February 1963, being employed by Mason and Morse Real Estate continually from 1963 through 1994. Sandy was the second woman in Aspen to earn her real estate sales license, which she did in November 1965. 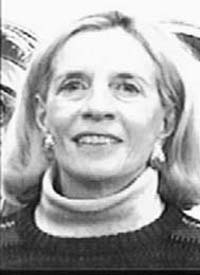 Sandy was a longtime contributor to the MAA, Ballet Aspen and the Aspen Art Museum, and was a former member of the Circle de Ballet and Les Dames de Aspen. She was married to George B. Johnston Jr. of Louisville, Ky., at Christ Episcopal Church in Aspen, lived in Louisville for a brief time and returned to Aspen after her divorce. She was raised in New York City and East Hampton, N.Y. In her youth, her primary interest was horseback riding, especially jumping. She finished high school at Penn Hall in Chambersburg, Pa., where she was a member of the equestrian team. She graduated from Bennett Junior College in Millbrook, N.Y., and Finch College in New York City. In the mid-1990s, she began splitting time between Aspen and Sun Valley, Idaho. Since moving to Aspen, her primary interest had shifted to alpine skiing. In Sun Valley she could concentrate on skiing and mastering the bump runs on Baldy. She made many new friends and was a member of the congregation at St. Thomas Episcopal Church and a supporter of the Caritas Chorale and St. Thomas singers, and once traveled with them to Europe. She also became active with the Sun Valley Garden Club. In summary, her passions were real estate, horseback riding and her friends—but most of all she loved to ski. She is survived by her nephew, Charles F. Preusse II of Bronxville, N.Y., his wife, Mary Hogan Preusse, and their three children, Julia, Charles and John; and her brother, Charles S. Preusse of Travelers Rest, S.C., and his wife, Susan K. Preusse, her nephews, Andrew Preusse, Chris Preusse and Patrick Preusse and her goddaughter, Alison G. Smith of Darien, Ct. She was the daughter of the late Charles F. Preusse and Josephine F. Preusse. A celebration of Sandy's life will be held at the Aspen Elks Lodge on Saturday, Jan. 21, from noon to 3 p.m. The Aspen Elks Lodge is located at 520 E. Hyman Ave., Aspen, Colo. In lieu of flowers, donations may be made to the Aspen Art Museum. To do so, please contact Ellie Closuit at 970-925-8050.